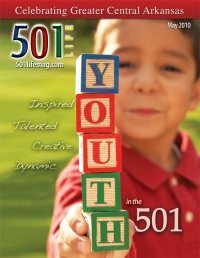 501 Life, a print magazine covering life in the 501 zip code, seeks writing interns for a special collaborative internship opportunity. Selected students have the opportunity to work with the magazine’s editor, generate ideas for articles, engage in editing sessions with fellow interns, and produce work for possible publication in the magazine. The work schedule for this internship is flexible and consists of meetings and workshops set up as the semester progresses. A majority of the work will be individualized and set by magazine deadlines. A cover letter describing why you are interested in and qualified for this internship in publishing and editing. The names, phone numbers, and email addresses of two references who know your writing, design, and/or editing abilities well. Applicants are required to submit their application materials to Dr. Kyle Mattson, Internship Coordinator, for review by a selection committee. Top candidates will be invited by the editors to interview for the position.